In the recent U.S-China climate deal, who snookered whom? Let’s first review what happened and place it in historical context. In the past, China had rejected U.S. and EU proposals to adopt legally-binding emission limitations, and demanded that industrialized nations make deep emission cuts and pony up billions of dollars (as much as 1.5% of their combined GDP annually) to help developing countries adapt to climate change. President Obama, for his part, pledged that America would cut its CO2 emissions 26%-28% below 2005 levels by 2025. That goes beyond the President’s 2009 Copenhagen treaty proposal to cut U.S. CO2 emissions 17% below 2005 levels by 2020. Some critics conclude that Xi outfoxed Obama, because, under the Joint Agreement, U.S. emissions must begin to decline immediately whereas China’s don’t have to plateau until 14 years after Obama leaves office. Some also argue that Xi simply promised to do what China intends to do anyway. Last Friday, Bloomberg News published an analysis confirming the colossal scale of China’s commitment under the Joint Agreement. requires a radical environmental and economic makeover. Xi’s commitment to cap carbon emissions by 2030 and turn to renewable [actually, non-emitting] sources for 20 percent of the country’s energy comes with a price tag of $2 trillion. . . .
For China to succeed, it will have to install the clean energy equivalent of Spain’s entire generating capacity each year until 2030, according to Bloomberg New Energy Finance data. 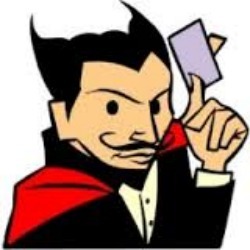 It has achieved that only once — last year. Electricity demand will rise 46 percent by 2020 and double by 2030, according to the International Energy Agency. China currently depends on coal for two-thirds of its energy, more than any other Group of 20 country except South Africa. . . . In all, China will spend $4.6 trillion upgrading its power industry by 2040. Nuclear and renewables alone will garner $1.77 trillion in new investment, taking 79 percent of all the funding for power plants built in China, the IEA said in its World Energy Outlook on Nov. 12. Fossil fuels get the remaining share. Be that as it may, based on the U.S. Energy Information Administration’s 2013 International Energy Outlook, I conclude that Xi’s pledge will not hold back China’s planned investments in fossil energy. 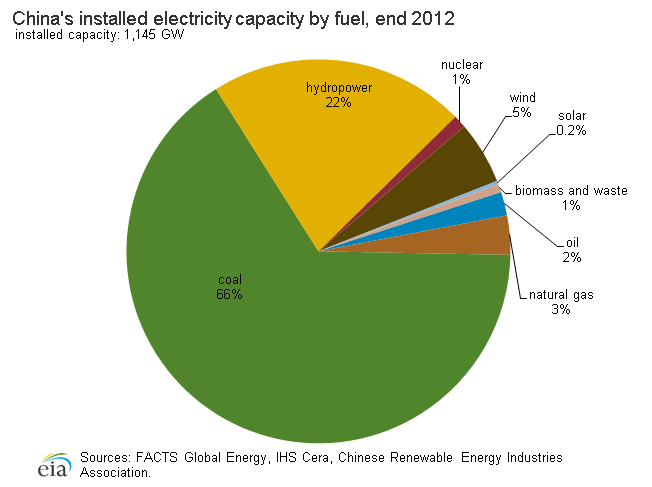 At the end of 2012, 71% of China’s electricity came from fossil fuels (coal, 66%; natural gas, 3%; and oil, 2%). Non-emitting and carbon-neutral sources accounted for 28.2% (hydro, 22%; nuclear, 1%; wind, 5%; solar, 0.2%; and biomass, 1%). 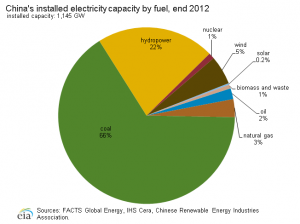 Note: China already obtains more than 20% of its electricity from non-emitting sources. In 2040, 58% of China’s electricity is projected to come from fossil fuels (coal, 52%; natural gas, 5%; oil, 1%), and 42% from non-emitting and carbon-neutral sources (hydro, 18%; nuclear, 7%; wind, 12%; solar, 2%; and other renewables, 3%). So the critics got one thing right. Although China’s 20% commitment requires a “staggering” level of investment in nuclear and renewables, it is well within the scope of what China plans to do anyway — and even of what China has already done. To break it down by the numbers, compared to 2012, China’s coal fleet in 2040 will supply 52% of the country’s electricity instead of 66%. However, 52% of 2,265 gigawatts is substantially larger than 66% of 1,145 gigawatts. 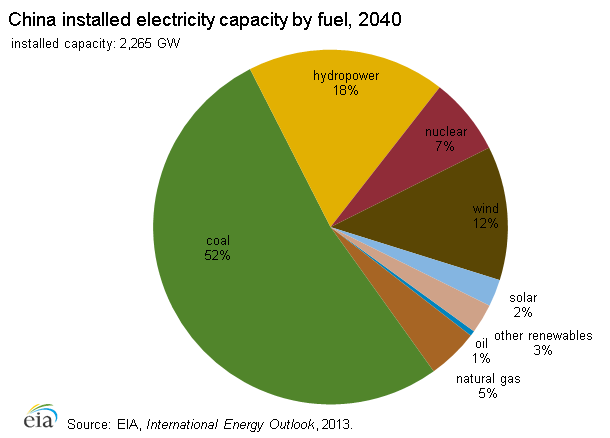 In 2012, China’s coal capacity was approximately 756 gigawatts; in 2040, it will be approximately 1,178 gigawatts. Thus, in EIA’s projection, during 2012-2040, China’s coal capacity grows by 389 gigawatts — an increment larger than America’s entire existing coal-fired capacity. In stark contrast, EPA’s Carbon Pollution Rule effectively prohibits the construction of new coal power plants in the United States, and the agency’s Clean Power Plan will prematurely retire about 45 gigawatts of existing coal-fired capacity. So, did Xi pull a fast one on Obama? No. Obama got exactly what he wanted. As previously discussed on this blog, Obama seeks China’s support for an agreement under which the United States is politically bound by pledges to the international community to implement the Carbon Pollution Rule and Clean Power Plan. Obama seeks thereby to shield his illegitimate, unlawful climate policies from potential repeal by the next president and future Congresses. Xi did not snooker Obama. It remains to be seen whether Obama will snooker Congress and the public. * Estimates corrected 1/22/2015. Explanation: $1.77 trillion is 79% of $2.24 trillion. If $1.77 trillion is for new nuclear and renewables, that leaves $470 billion out of $2.24 trillion for new coal and gas generation. If $2.24 trillion is for new generation in general, that leaves $2.36 trillion for upgrades of existing generation. Next post: Supreme Court to Review EPA’s Mercury (Utility MACT) Rule — We Told You So!